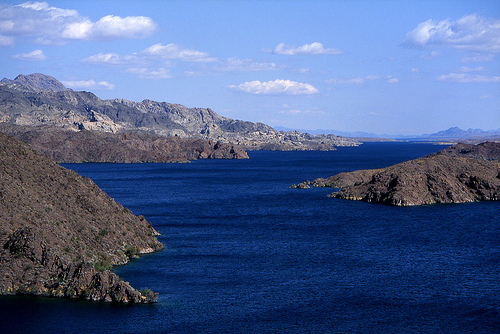 LAKE MOHAVE – The lake level today is currently 642.3 feet above msl. The fishing dock at Katherine’s Landing produced some nice fish. Bluegills are biting night crawlers near the dam and reports of people catching both black bass species are common. Smallmouths are active now on the shelves near the drop-offs and the word is they are biting near the habitat structures also. Largemouth bass are active in the still water in the back of coves. The grass beds and submerged brush on the edges of the coves are a great place to find the black bass also. The striper bite is doing well on the points of the coves north of Princess Cove. Submersible lights fished during the new moon are an effective way to catch stripers. Check the moon phases before you go – the last new moon was July 15th. Next new moon will be August 14th. Cut anchovies usually work the best for stripers. 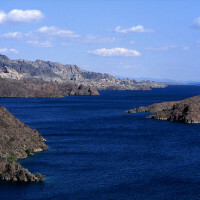 Biologists from both Arizona Game and Fish Department and Nevada Division of Wildlife with the help of volunteers, National Park Service, Arizona State Prison-Kingman Complex and Bureau of Reclamation personnel have continued to install fish habitat in Carp Cove, Box Cove, Shoshone, Princess and Arrowhead. Prospect Cove (1st cove south of Princess Launch Ramp) is the latest addition on the Arizona side of the lake to get habitat deployed. Fish habitat consists of PVC structures, tamarisk bundles and a new type of habitat we call poly shrubs. The largemouth, smallmouth, bluegill and catfish are really utilizing the new structures. Additional habitat will be added at several locations over the next two years. These structures are fish magnets.